At Blue Mic Music, we use a teaching style that focuses 50/50 on Learning by ear and by written music. We run theory alongside engaging and fun practical activities to ensure Students are prepared for a lifelong involvement with music. 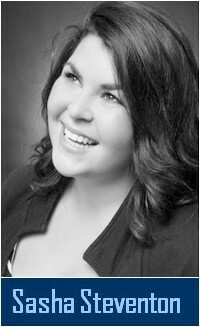 Sasha Steventon is a professional Piano Tutor and Vocal Coach in Henley, Marlow and the surrounding areas. She began teaching Piano and singing aged 17 and went on to study music at Canterbury Christ Church University, specialising in performance and teaching. Sasha decided to set up blue Mic Music in 2016 following her strong belief that music should be available to anyone who wants it. Sasha has performed throughout the UK and has over 7 Years experience in teaching both individually and in large groups. She currently works in 3 schools, providing piano tuition alongside the choirs, musical assembly's and music class lessons. Away from tuition she performs with a Jazz and Function Trio called the Roccafellas and have a wealth of experience in performing and recording as a singer. Emma Templeton and has been studying and playing the piano for 34 years and after taking a break to start a family she is now teaching piano for Blue Mic Music. She teaches at two primary schools and has a wealth of experience teaching younger children to inspire them to a love of music. She has performed with school choirs and also recorded for BBC Radio Berkshire. 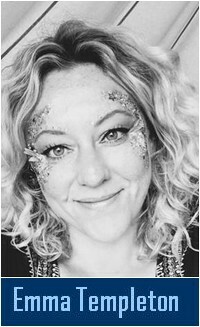 Apart from teaching piano and providing support for choirs in schools, She runs a business setting up a fully equipped festival Bell Tent for children’s parties which is great fun! She provides henna tattoos, glitter face painting and we can also get everyone involved in African drumming along to your favourite tunes. For 15 years Persephone Anderson-Byskou has been classically trained in the piano along with an assortment of various other instruments including singing, guitar, violin and ukulele. She studied music theory and performance at college and has completed her grades with The Associated Board of the Royal Schools of Music (ABRSM). She is enthusiastic and devoted to the art of music and is inspired to share her passion with others. She started working for Blue Mic Music in February 2018 at two primary schools teaching piano and choir whilst also teaching private lessons after school hours. 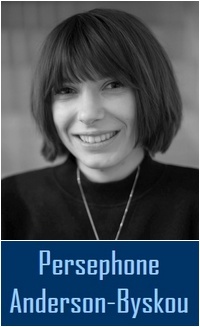 When she’s not teaching, Persephone can be found writing and recording her own music which she publishes on digital media channels and regularly performs live at a number of venues.